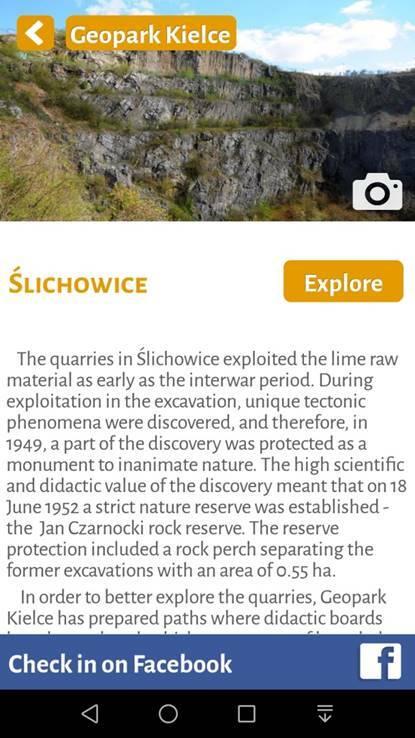 The “Discover Geological Kielce with Geopark” mobile application is an update of the multimedia application for mobile devices “Discover the beauty of the Geopark Kielce. 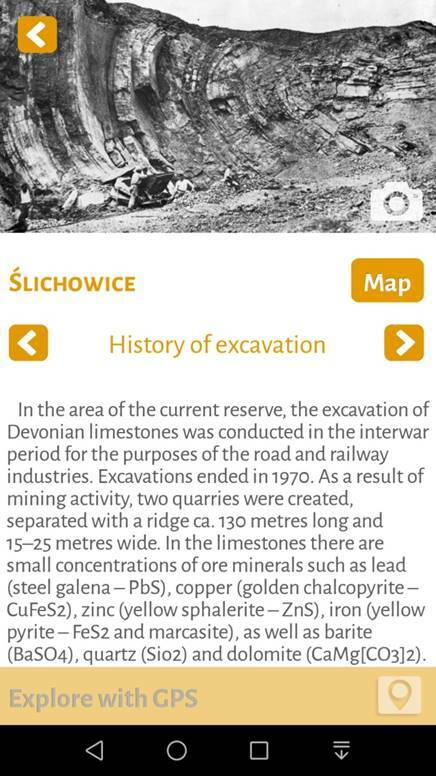 The current application is a guide to interesting places related mainly to geology in the city of Kielce. 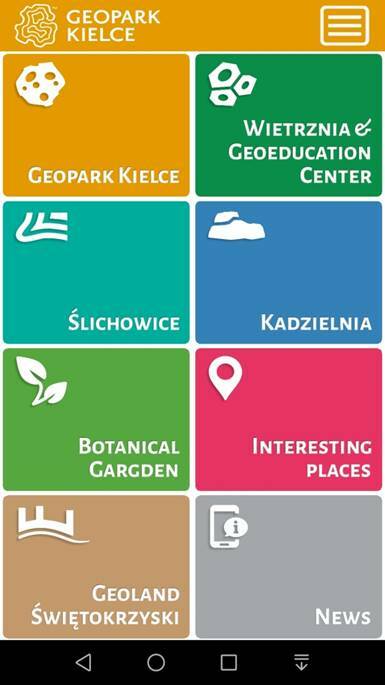 The richest description is related to objects managed by Geopark Kielce: quarries in Wietrznia, Kadzielnia and Ślichowice as well as in the Botanical Garden. The user of the application can get to know other, interesting objects in Kielce like Bieska-Białogon, Grabina or Góra Słoneczna. The application user also has access to the news channel on the Kielce Geopark and can get acquainted with the geological curiosities concerning Kielce and the entire Świętokrzyskie region, with particular emphasis on the geopark area of the Geoland of the Holy Cross Mts. Geopark. The current application update has been financed from funds for environmental protection and water management in Kielce in 2017.